For elderly individuals, something as simple as using a telephone can be too difficult a task, and hearing loss only makes this issue worse. 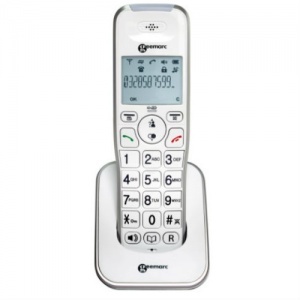 The Geemarc Amplidect 295 Photo Amplified Cordless Telephone with Answering Machine is an ideal telephone for elderly users, with a loud receiver for easier conversations and photo buttons for instant dialling of important numbers. To help make conversations clear to the hard of hearing, the Amplidect 295 Photo features a loud receiver with up to 30dB of amplification. It's ideal for ensuring that calls can be heard loudly and clearly. In addition, the handset also features hearing aid compatibility built-in. This sends a telecoil signal directly to a hearing aid, making calls as clear as possible. For some elderly individuals, it can be difficult to remember phone numbers or even look them up in an address book. 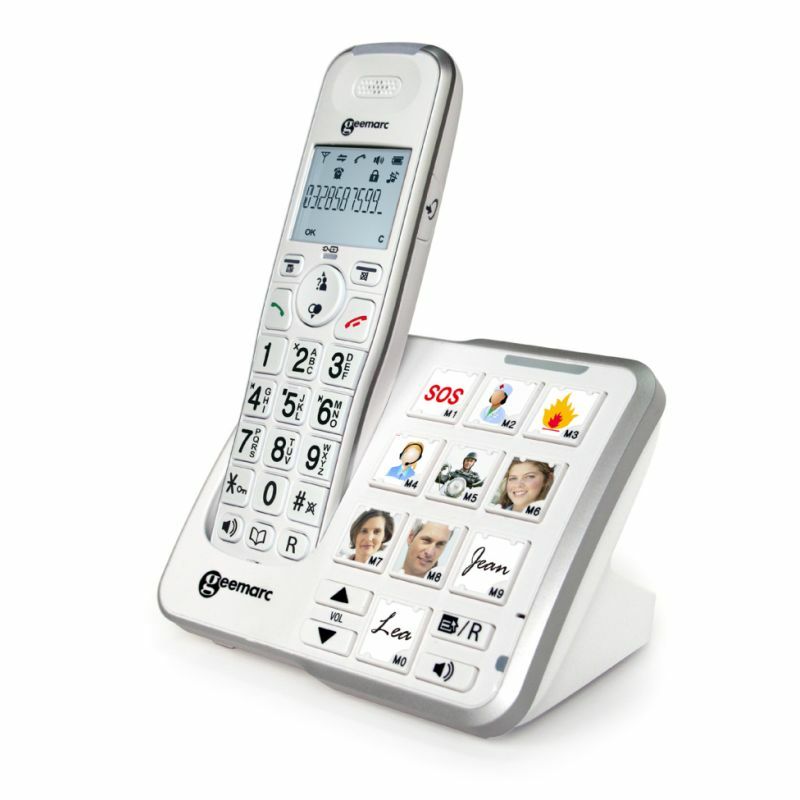 To help make dialling important numbers as easy as possible, the Geemarc Amplidect 295 Photo features ten one-touch memories with space for images on the base unit of the phone. Important numbers can be programmed for each button, and images can be placed on them. This provides easier recognition, eliminating the need to remember phone numbers or memory numbers. 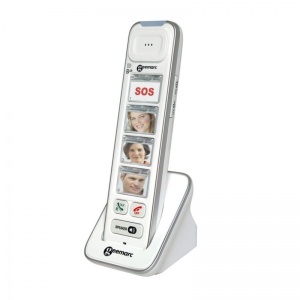 As well as making phone calls easier, the Amplidect 295 also features a built-in answering machine. With up to 14 minutes of recording time, it's ideal for keeping track of missed calls and staying in touch with loved ones. Messages can be deleted individually or all at once and feature a timestamp for easier management.